Carp Fishing in Peterborough Ontario - Good Again? Im new here, so ... hi! That said, I was wondering about fishing in Peterborough Ontario. I love to carp fish, and the getting was amazing 2-3 years ago. I caught my first 30lb carp there. Then the year after the carp started to die off from herpes or something like that. I haven't been back, as locally the garbage trucks were picking up dead fish almost daily from curb sides as residents were finding them dead on their lakeside property. I was there last summer and did fairly well right downtown... I'm sure i could have done better with more carp experience. Catch me if you can big-boy. If you had posted your location in your profile I'm sure some of the carpers on board could steer you to closer places to fish for carp than a six hour drive ! I just wanted to know if the big ones are still in there, and if they are, i am headed out! Make some boilies, and match me a 35lb'er on a hair rig! hells ya! Yes the big ones are still there. I have seen tons of them this year, in chemong lake. Welcome aboard. You only target Carp? Carp are still there, most people I've talked to told me it's been slow this year but the few times I fished there I average 10+ fish every time with only the first outing less than 5. Maybe I have just been lucky. The brits have found other "honey holes" as we don't see as many at P'boro like we did before the "die-off"
I have yet to blank there this year but the fishing hasn't been what it used to be IMO. It gets alot more pressured now and every single fish that you catch it's been caught before. Beans is right the average is about 12-18lb-ish. The last few years that I have fished it I have never seen a 30+ landed, only a handful of high 20s. Good for you if you a 30+ out of there, but i highly doubt that there's a 35 roaming in that water especially after the die-off. This may help. Good luck. That was very helpful. I fished there today, for 8 hours, and caught nothing. Do any of you know places closer to london that have good carp fishing? Or should I make my way out to peterborough? hahaha ya, you've just doomed yourself to 9 hours of nothing. thanks though! Also, try the Thames River near Harris Park, around the Queens Avenue Bridge area in London. Chumming may help. Dude I've caught 25+ pounders at the forks of the Thames downtown London! No way I'd drive all the way to p'boro for them! 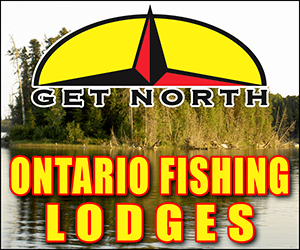 There's great carping to be had all over southern Ontario! Poke around online I'm sure you'll find some new spots to try... I intend to find some new water myself in the coming weeks.. Good luck and keep us posted on how you do! you want me to fish where the thames forks? ... I havent tried it since the damn broke, was fixed, then broke again. Any other spots? Peterpatch ain't what she used to be, carp-wise. I was up on the Otonabee yesterday from 05:00 till noonish . . . 3 in the 12 - 14 pound range & 1 about 17. Hits were few & far between, I MIGHT head down to Hammytown today, there should be a few hangin' around Eastport Road just past the lift bridge by now. 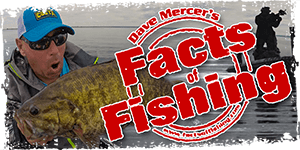 I never heard about any 'die-off' down that way, but it certainly killed off a good portion of the carp population, especially the ones over 20 pounds, up in the Kawarthas. If ya want B I I I I G ones, Hamilton would be the first place you should go! Good luck. Any other places in hammy i should try? We have bigger, better carp on the north shore of Lake Erie. Pretty good chances if the spot looks like a carp spot, they are there. fenchmans bay,rouge river,moth of duffins creek...man there are a thousand spots just all around the GTA !!!! !